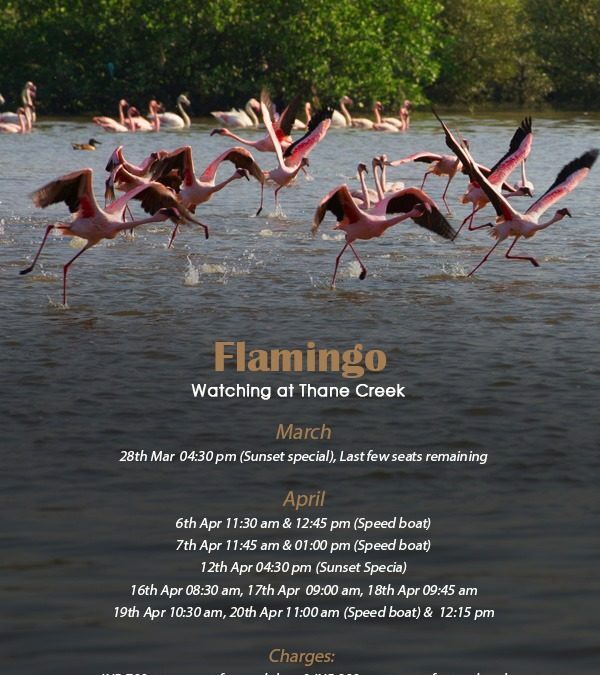 Thane Creek is truly one of the best kept secrets for observing birds. 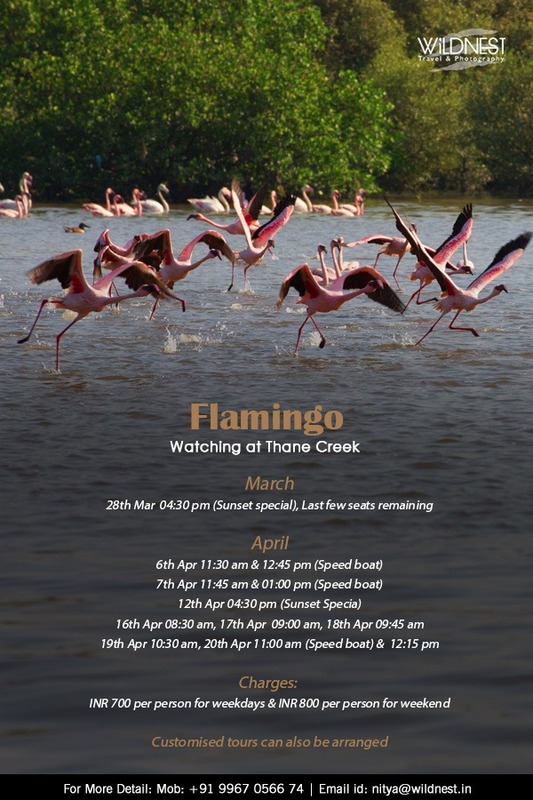 One can explore the creek in a boat ride where one can observe a large number of Lesser and Greater Flamingos along with various other birds such as Avocets, Northern Shoveler, Grey Heron, Egrets, Plover, Sandpiper, Black headed Ibis, Whimbrel etc to name a few. Note: Customised tours can also be planned according to the time suitability at special charges. Meet Wildnest team members at the Centre, followed by a brief introduction about flamingos as well as other birds. Proceed for the boat ride. 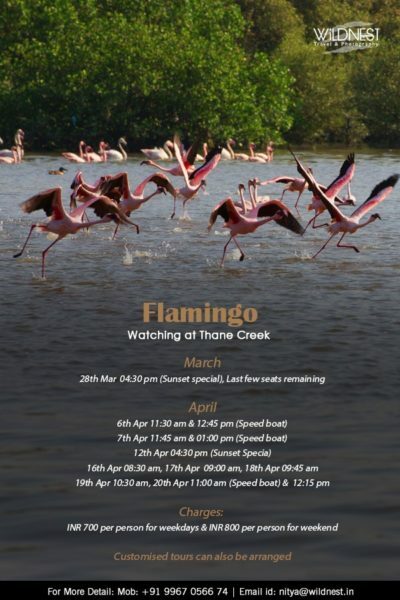 Our naturalist will help in spotting flamingos as well as other shore birds found there with binoculars. Charges: INR 700/- per person on weekdays & INR 800 per person on weekends, Kids below 2 yrs are free of cost.